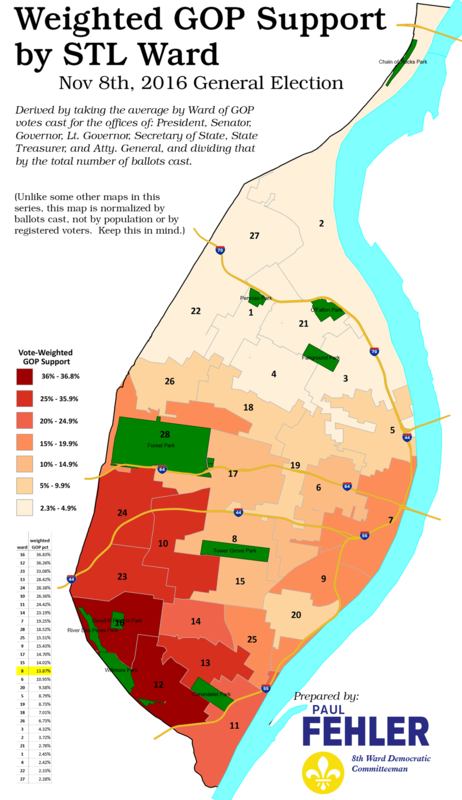 As we gear up for the city’s next primary for mayor and aldermen, here’s a look at how city voters performed in the November 2016 general election. 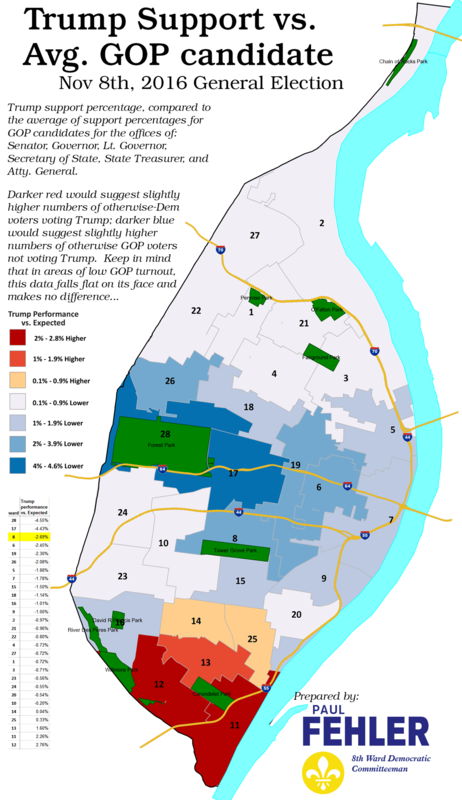 While local offices are unfortunately largely determined by the result of the Democratic primary, thus resulting is abysmally low turnout, a broader look at the city’s electorate can be informative. 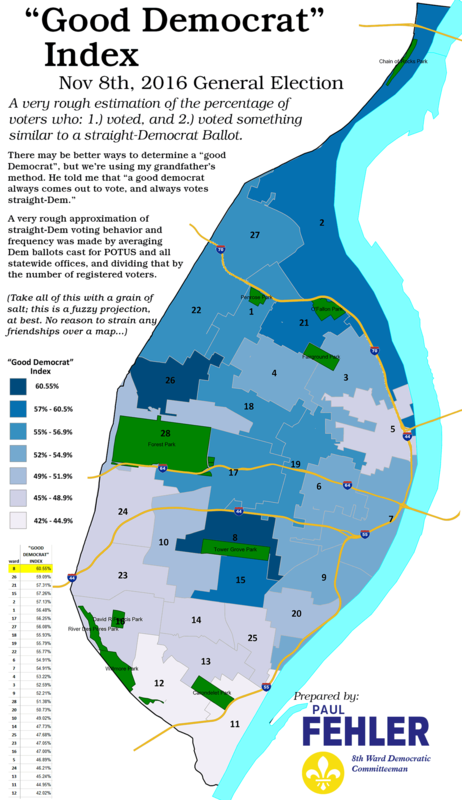 Maps were produced by Paul Fehler, 8th Ward Democratic Committeeman. 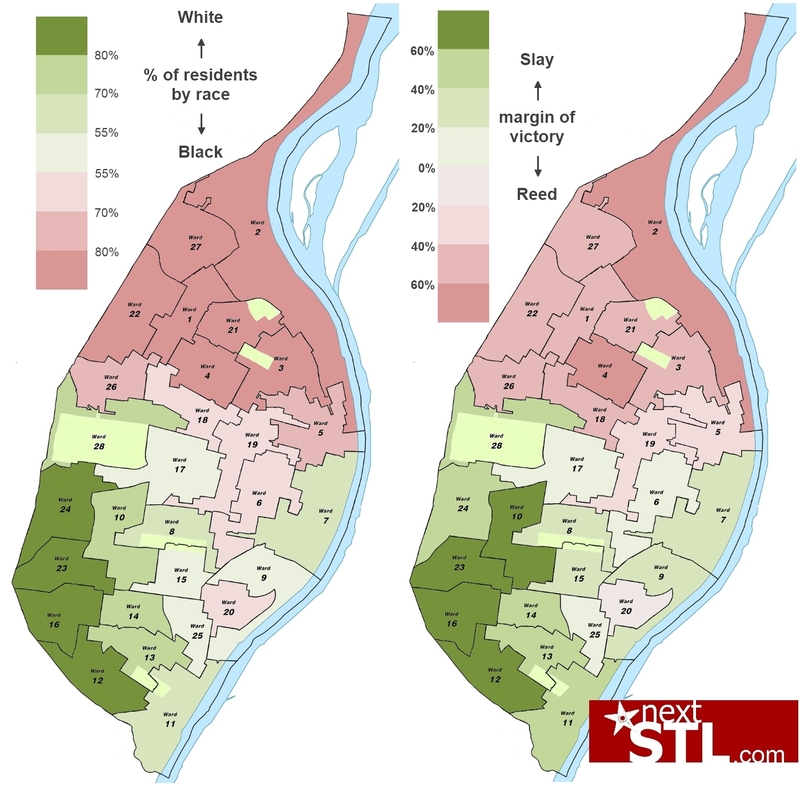 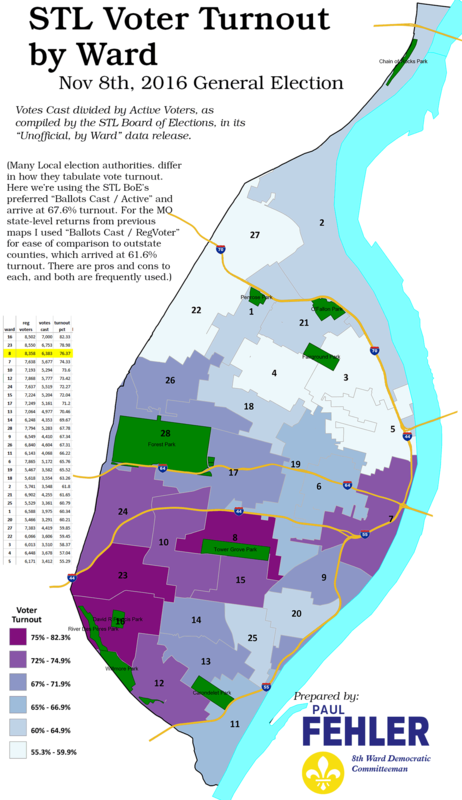 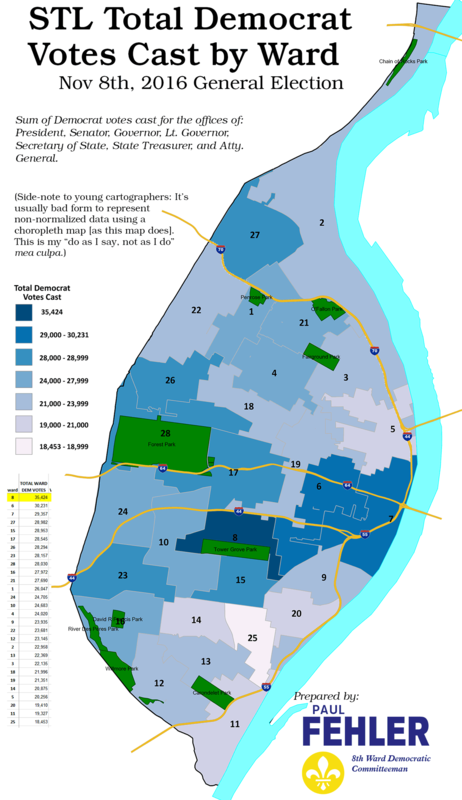 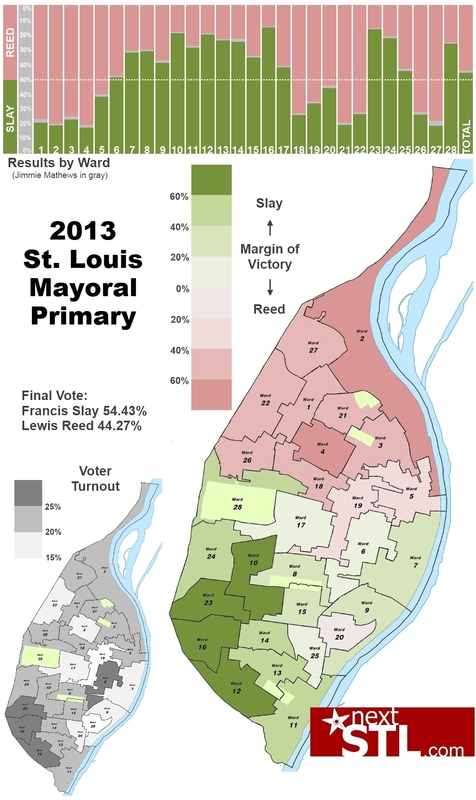 Below the general election maps are the nextSTL maps detailing results from the previous Democratic mayoral primary with results for Mayor Francis Slay and President of the Board of Aldermen, Lewis Reed.